Building codes dictate the way contractors construct residential and commercial buildings, regulating details such as the thickness of basement walls and the spacing between electrical outlets. Many of the rules that apply to your home's structure are set by local and state authorities and designed to ensure building integrity. Not all communities actively regulate roof rafter systems, because rafter configuration is often determined by the architect or engineer who designs the house plan, and it usually exceeds minimal building code. However, there are some general rules that apply when constructing a roof with rafters. Local code may determine rafter dimension. The pitch of your roof is generally determined by the span of the sidewalls and the desired roof height. In some regions, however, local weather may dictate roof pitch. If your community receives a lot of snow during the winter, local building codes may require a minimum roof pitch for "snow load," which ensures that heavy snows will slide off the roof. Rafters must be strong enough to hold the roof sheathing and the shingles. 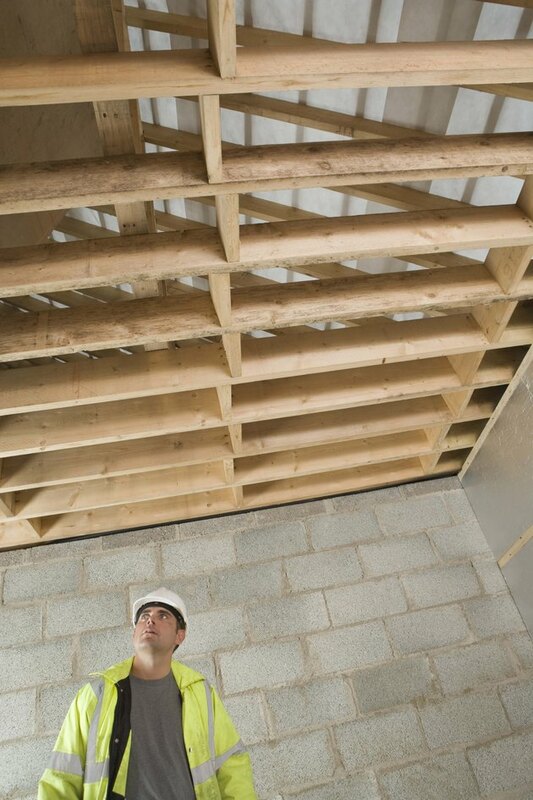 If your local building authority has a rafter-spacing code, you may not space rafters wider than required by code. Typical rafter-spacing codes will specify a minimum spacing of 16 inches, 19.2 inches or 24 inches. The closer the rafters are to each other, the stronger the roof will be. Some communities require that rafters be made of a specific wood type, such as fir, as opposed to pine or spruce, for added roof strength. This may apply to all homes or just to homes with roofs designed to bear heavy tile or slate roofing shingles. Local building code may also address rafter dimension, although this usually is considered in addition to roof pitch and span. As roof pitch is lowered, the weight burden on the rafters increases. For low-pitch roofs, building codes may require larger dimension rafters. For instance, if your roof has a steep pitch, you may be able to use 2-inch by 4-inch rafters, but if your roof has a low pitch, building code may require that you used 2-inch by 6-inch, or 2-inch by 8-inch rafters. Covenants are building codes that apply to a single development or subdivision, but covenants are just as enforceable as other local building codes. When it comes to roofs, covenants may require a specific roof pitch so your home blends in aesthetically with the rest of the homes in the development.